For years, Joshua Hedley has been making a name for himself as Nashville’s right hand man. Known as the “mayor of lower Broadway” by collaborators and comrades, Hedley is a fixture at Robert’s Western World, where he plays for tips with his band the Hedliners. The multi-talented singer-songwriter has played fiddle with Justin Townes Earle, Robert Ellis and Jonny Fritz. Now Music City’s favorite son is breaking out on his own. As part of East Nashville’s close-knit brigade of musicians, Hedley has no shortage of support from his peers. He’s featured prominently in the 2015 documentary film Heartworn Highways Revisited, a follow up to the seminal 1976 cult classic music documentary about the 1970s Nashville songwriting community led by Guy and Susanna Clark. Hedley’s soaring, velvet voice and jukebox-ready songs are 60s-era solid country gold. Unlike several of his peers, Hedley’s not trying to put a new spin on an old sound. 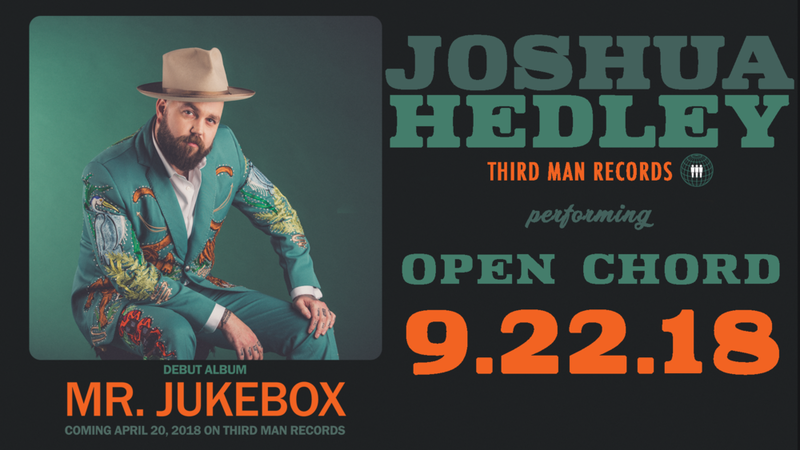 Joshua Hedley’s country music is your grandfather’s country music and it’s all the better for it.